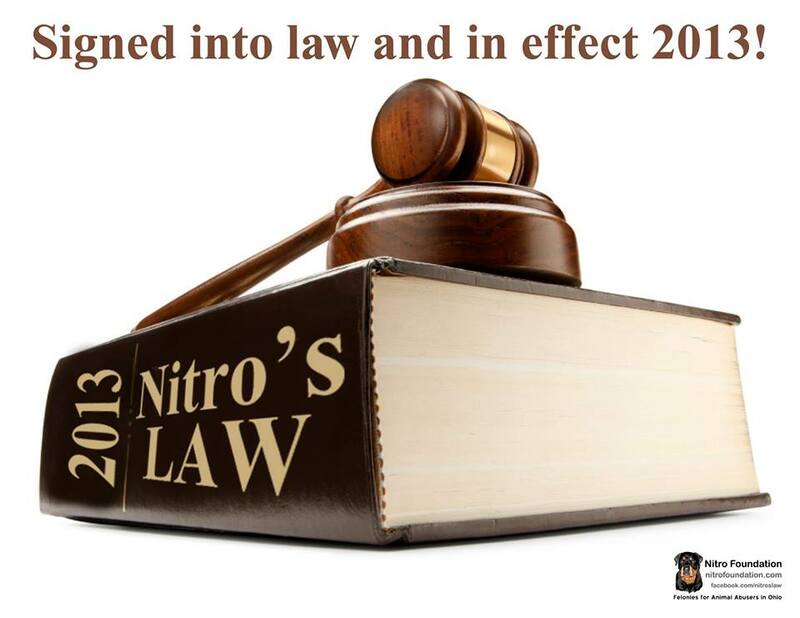 Nitro's Law was signed into law on June 30, 2013! Nitro’s Law covers more than just boarding kennels. The bill would protect animals wherever a kennel license is in effect with the exception of large breeding facility (puppy mill). That means any facility that holds a COMMERCIAL kennel license, whether it be a boarding, training, breeder, rescue facility. 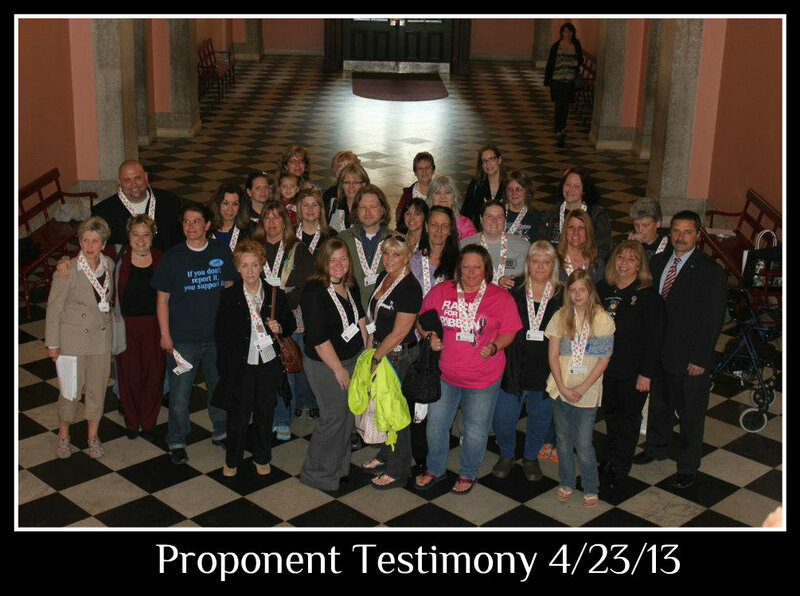 Nitro's Law was reintroduced in the 130th General Assembly on February 28, 2013 as House Bill 90 has been assigned to the Agriculture and Natural Resources Committee - Sponsor Testimony was on April, 9th 2013, Proponent Testimony was on April 23, 2013 and Opponent (Interested Party) Testimony was on April 30, 2013 - it unanimously passed out of committee on the same day! 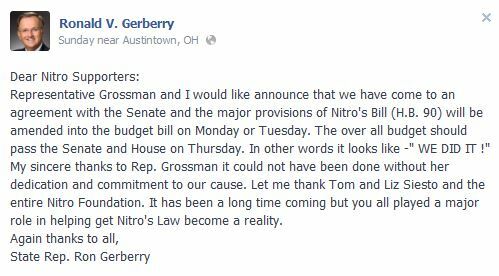 In June Nitro's Law was put into the Budget Bill and was signed into law by the Governor on June 30, 2013! 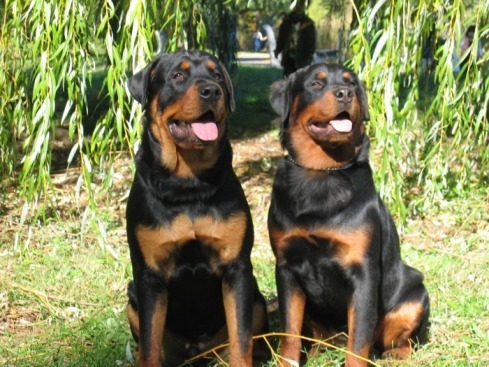 "Nitro was not a Democrat, Republican, Liberal or a Conservative....he was My Boy."